"Taking the Bull by the horns." 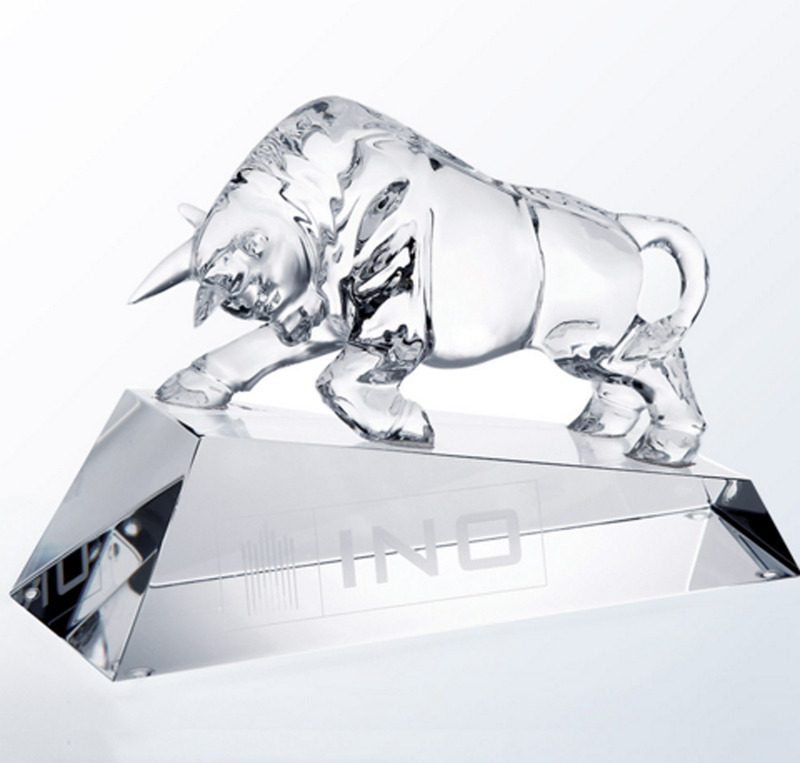 Often referred to as the Wall Street Bull, this is the ideal choice for a financial related award commemorating optimistic prosperity in the financial world. The strong bull bowing down in recognition of accomplishments, and slanting upward striving for greater success. With the engraving area at the base, this easily personalized piece will stand out and shine anywhere.